The Mermaid Life: GLAMGLOW REVIEW - IS IT WORTH IT? 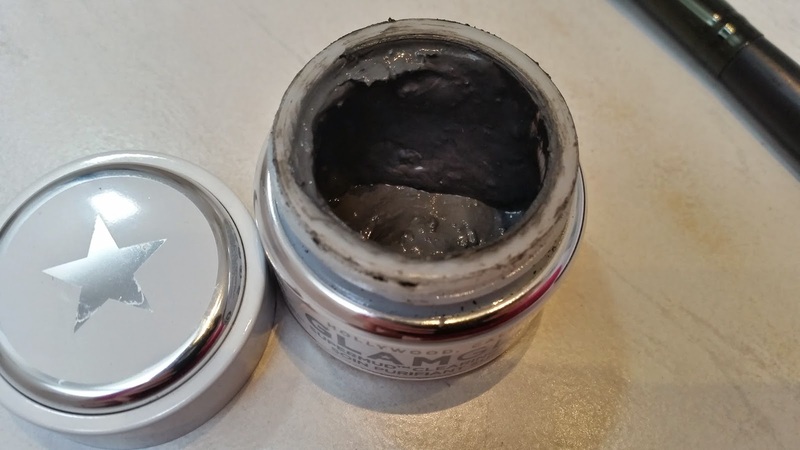 GLAMGLOW REVIEW - IS IT WORTH IT? The world’s most scientifically advanced GLAMGLOW® SUPERMUD® is a magical mud clearing treatment that will target, prevent and heal for seemingly poreless skin. Ideal for use as a full face mask or targeted spot treatment. - Visible pores?- Problem skin?- Blemishes?- Pimples?- Breakouts?- Spots?- Black and white heads?- Razor burns?- In-grown hair? This amazing detoxifying mud mask is fantastic for fighting all common skin concerns - it helps with the lightening and evening of the complexion; creates a more youthful and smooth skin tone; improves elastin and collagen; de-clogs and minimises pore size and fights unwanted breakouts, by reducing redness and super-speeding the healing process. 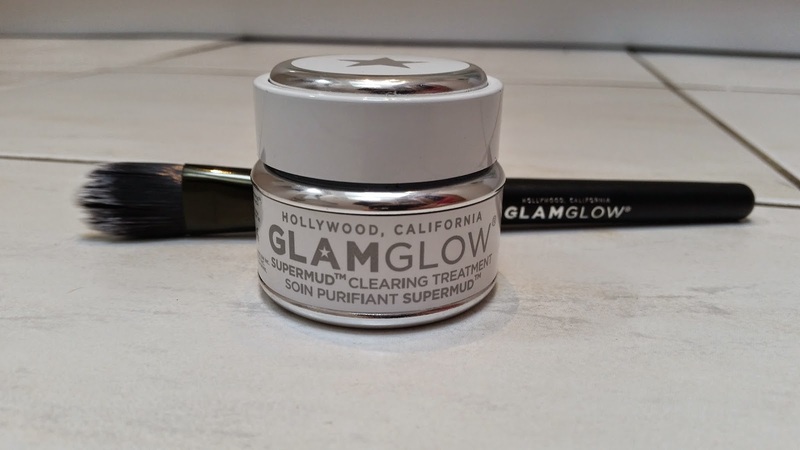 GLAMGLOW® SUPERMUD® Clearing Treatment can be used as a full mask for the entire face or simply as a one-spot wonder solution! With SUPERMUD® you can visibly see your pore congestion pull-out and encapsulate within the mask for immediate and amazing results in just one use. As you can see, this mask promises the world! I've been using this a few times a week for the passed few weeks and I must admit I like it. I have a HUGE problem with blackheads which seem to be my only problem. I have little breakouts and hardly worry about any upcoming spots, but blackheads just don't seem to leave my skin, no matter what I try. 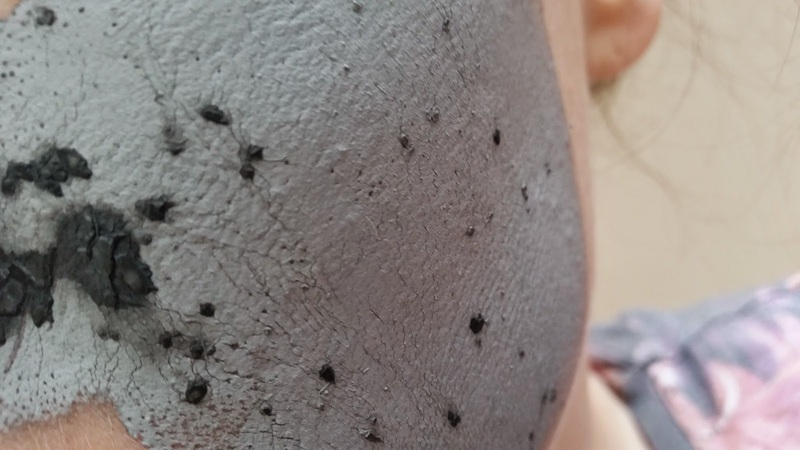 GLAMGLOW has helped reduce my 'bigger blackheads' and has gotten rid of a few small ones. They're still not completely gone, but there is a huge difference in numbers and appearance. I wish I had a done a before and after as you'd see what I mean! The mask itself is a dark blacky navy like paste which goes on perfectly with the brush. There's small, and sometimes large, pieces of what I can only think is some kind of leaf or herb in the mask, but it doesn't make application any different. I apply a even amount either all over or just on the nose and chin. As it dries my whole face tingles. It's not at all uncomfortable, but it feels like tiny little pricks all over your face. I also think the smell reminds me of licorice - Someone explain that one... It dries almost instantly to a grey powder looking substance with tiny little black dots where my spots or blackheads would be. I then wash it off a few minutes after it's dried with warm water and a flannel and oh my goodness - my skin feels incredible. It's unbelievably soft. There's no rough areas at all! A few minutes after washing I apply a moisturiser as it is slightly drying. I'll use my Yves Rocher one during the day, or my BareMinerals oil before bed. Overall I really like this, and has helped massively with my skins texture and blackheads. Is it worth the price tag? £40 seems a little steep to me, but I think I would try it again. I will keep on using this twice a week now until I am happy with my blackheads - I'll keep you updated if this gets rid of those pesky blackheads! Get GLAMGLOW from FeelUnique for £40. Keep an eye out for offers! I've always wondered if glam glow products are worth the hype, this sounds pretty good. The price is defo a factor that makes me unsure, but I do absolutely love it! Ah no! That sounds horrible! I've never had that problem - so that's such a shame! It is very pricey! Ahhhhh I love it! I'm glad you think the same! Yeah, it is VERY pricey - Defo a splurge!